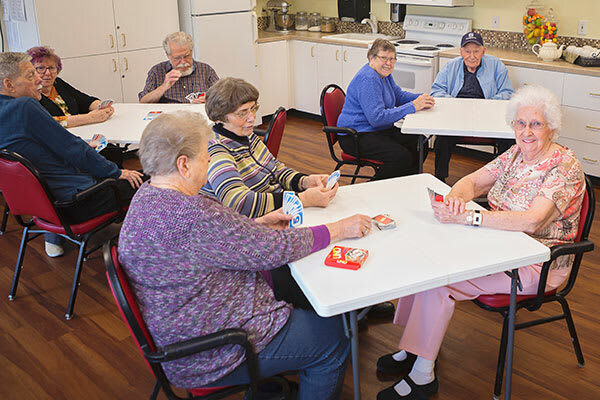 King's Manor Senior Living Community offers an array of social and leisure activities designed to keep our residents active, social, and involved in a variety of programs. Daily exercise classes help promote physical well-being, while games like Scrabble, Pinochle, BINGO, and Trivia help with mental stimulation. We have a separate Activity and Craft Room for special projects, puzzles, games and painting. Our Residents also like to gather for book club or a cup of coffee while discussing current events. We offer day trips for shopping, social gatherings, scenic drives, monthly lunch outings, casino trips, and local attractions. We encourage families to be involved by attending special events, outings, and support groups, or by participating in our daily activities. Click on the link below to view our Calendar of upcoming events.